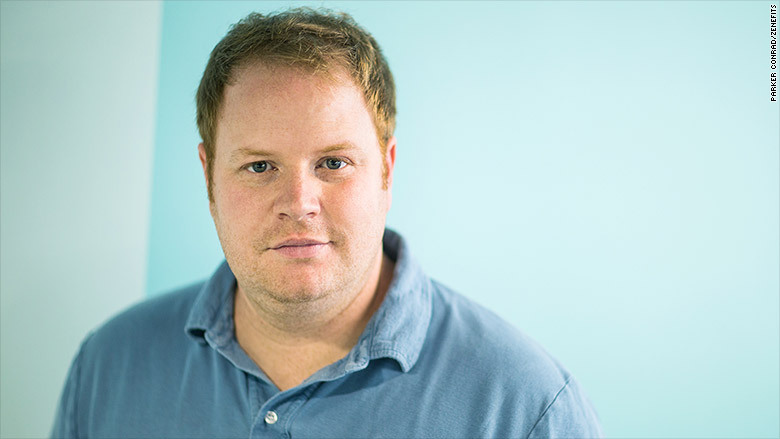 Zenefits CEO Parker Conrad stepped down Monday . The HR software startup announced on Monday that CEO and founder Parker Conrad has stepped down. Taking the helm is David Sacks, who was Zenefits' COO and had previously worked at Microsoft (MSFT) (which bought his firm Yammer) and PayPal (PYPL). Sacks told employees in an email on Monday that "many of our internal processes, controls, and actions around compliance have been inadequate, and some decisions have just been plain wrong. As a result, Parker has resigned." He said that in December, the firm -- which manages everything from payroll to health insurance -- hired a Big Four auditing firm to conduct a review of the firm's licensing procedures. He said the company would turn it over to regulators once complete. In November, a Buzzfeed investigation said that the company's salespeople were acting as insurance agents without proper licensing in at least seven states. Buzzfeed said regulators in Washington state were looking into whether it had violated the state's licensing rules. Sacks said that in addition to the audit, he will conduct a "top-to-bottom review to ensure appropriate and best-in-class corporate governance, compliance and accountability." Conrad was also removed from the company's board of directors. In his place are now three big-name investors: Peter Thiel, who cofounded PayPal and Founders Fund; Antonio Gracias, founder of Valor Equity Partners, and Bill McGlashan, founder of TPG Growth. Zenefits also named Josh Stein, its VP of legal, as its first chief compliance officer. It's a lot of change all at once for the company, which is one of Silicon Valley's "unicorns." That's the term for privately-held companies valued at $1 billion or more. Zenefits has raised more than $580 million and was last valued at $4.5 billion. It's had a number of well-known investors, from venture capitalist Marc Andreessen to actors Jared Leto and Ashton Kutcher. Sacks calls for a change to the company's culture and tone, which he says is "inappropriate for a highly regulated company." In other words, Zenefits -- which has more than 1,500 employees -- needs to grow up. He lists three core values moving forward: "Operate with integrity. Put the customer first. Make this a great place to work for employees." "This is Day 1," he wrote. "This is a founding moment. You are all cofounders in this new path forward."